I like stuff. I have a lot of stuff. Shiny, sparkly, colorful stuff. It’s all over my house. And I can be an impulse shopper, but I try to limit the dollars spent on shiny, sparkly, colorful impulse purchases. You can get more shiny, sparkly, colorful stuff (impulsively, of course) if you don’t spend too much on one shiny, sparkly, colorful thing. This is, in fact, one of the benefits of living alone: you don’t have to worry about whether anyone else likes your shiny, sparkly, colorful things, and no one cares about your impulse purchases. I know what you’re thinking. You’re thinking I’m talking about my (shiny) purple toaster, which I impulsively bought one day for $30 at Target, even though I had a perfectly functional (and boring) toaster already sitting on my kitchen counter. Haha! Wrong! 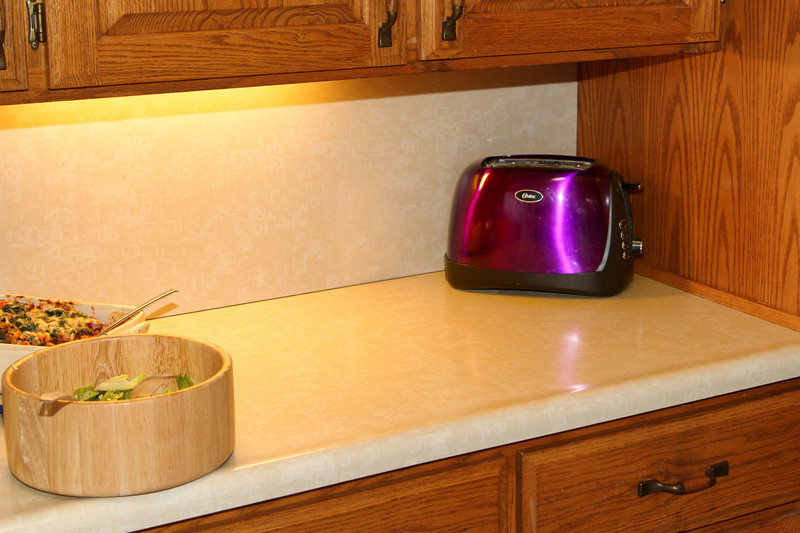 I do love, love, love my shiny purple toaster, and someday I hope to have more purple appliancy friends for it in the kitchen. But no, the amazing $30 dollar purchase I was marveling over was my showerhead. Don’t go there, it’s not what you think. 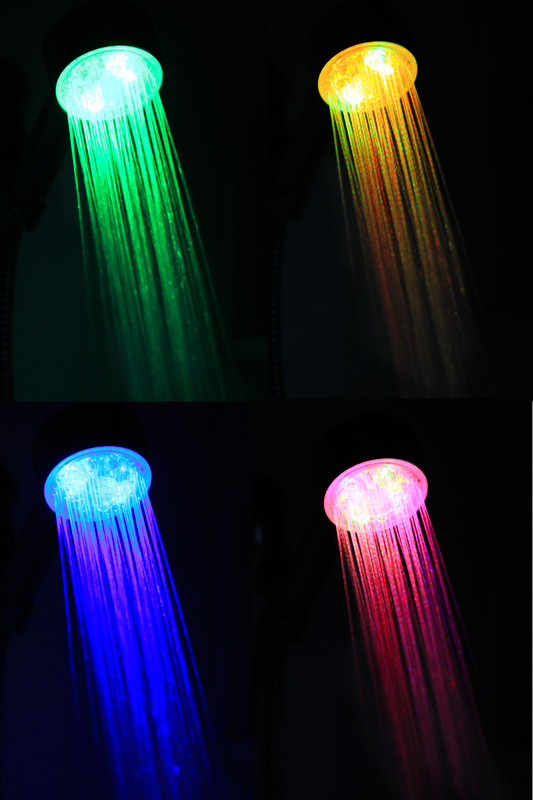 I have a light-up, LED, color-changing showerhead. And it. is. da. bomb. I reposted it to my wall because, holy crap that was pretty damn cool (and shiny and colorful)! And before I knew it, a friend had Googled it and located it for sale. And it was ONLY THIRTY DOLLARS. And there were only THREE LEFT!!!! It was a shiny, colorful, impulse purchase perfect storm. I hemmed and hawed for a few minutes. I mean, come on. I’m a grown up. (Sort of.) 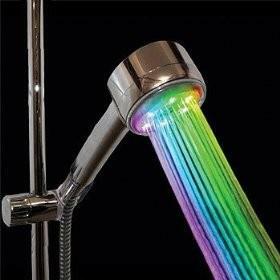 Is a light-up rainbow showerhead really what I need in my house? I ordered it. It arrived. I kept my expectations low. Were the pictures online and on the packaging a little misleading? Yeah. Does it lower my water pressure a teeny, tiny bit? Yeah. Does any of that matter? NO. It’s soooooo awesome! Especially in the dark. Which is what happened the other night when I had my Best Purchase Ever revelation. I came home from a less-than-stellar Zumba class (NOT your fault, Lori, if you’re reading!!!! ), and I was cold and tired and kinda crabby. Hot shower would be a good remedy for that anyway, but add in the bitchin color-changing lights and it is impossible to be in a bad mood in the disco shower with all the other lights off. It also might be kind of impossible to shave your legs with all the lights off, and hazardous getting out after turning off the pretty light-up shower, but who cares???? I kind of want to go take a disco shower right now, even though I’m fairly clean, having just showered earlier today. It’s spreading, too. For my birthday, Klondike got me a faucet for the kitchen sink that lights up. That one is temperature-indicative. Blue lights for cold, red lights for warm, green for in between. It pretty much rocks, also. Someday I’m going to die, and my house will be a realtor’s nightmare. Perhaps in my will I should indicate where I put all the original, boring, non-light-up water features (the linen closet, in case you should be the one settling my estate). In the meantime, it’s my house. Colorful silliness prevails. Thanks, 3Names, for the groovy pics. Um, yeah, so I might need to get this. Thanks, Krista. Love it! I think everyone needs a disco shower head to wash the bad moods away. THink how nice the world would be….. I knew this would be about the shower head. You can’t place a value on joy.